at our fire halls at 3600 Library Rd (Rt. 88) Pgh, 15234. 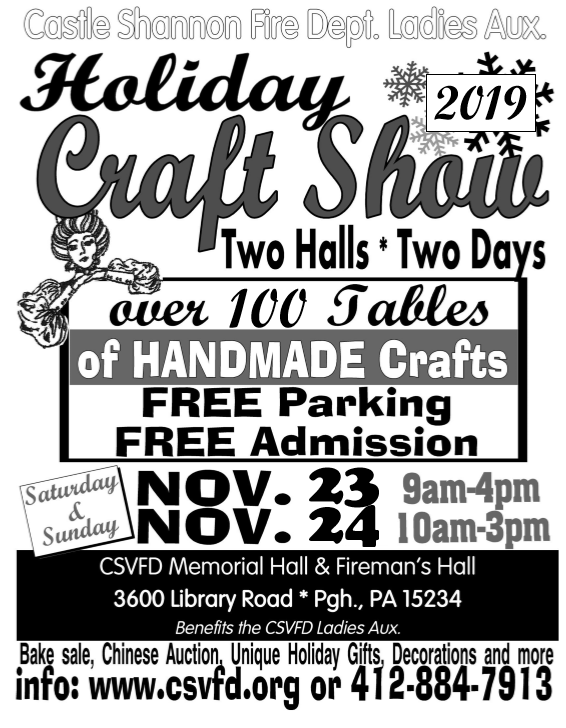 Two halls, over 100 tables of fine handcrafted gifts and more!